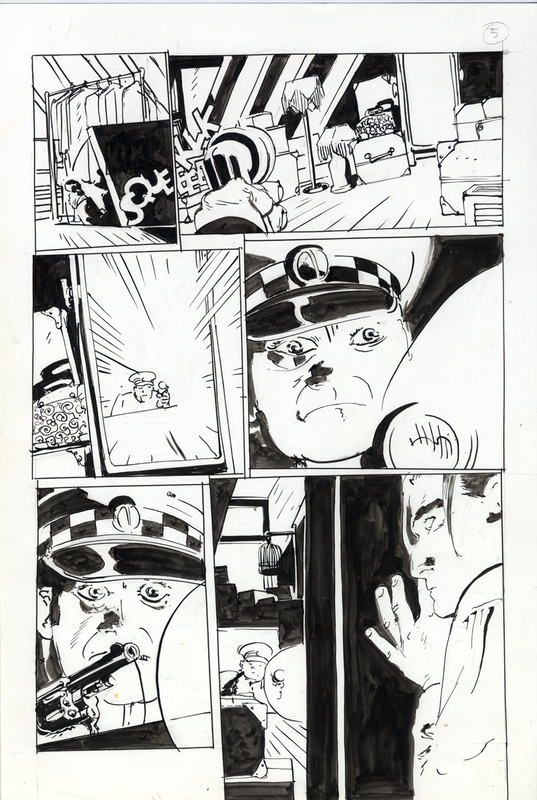 Tony Salmons is a tremendous artistic influence on me. He was sharing the pages on line and in person as he was completing them and it fucked me up in a way; I tried to emulate his freedom and spontaneity of execution as I was starting to ink the “Fogtown” graphic novel I completed in 2008 and which was published in 2010. I got in trouble with my editor for being sloppy and had to re-ink a large portion of the first 3rd of the book. This is page #6 from issue #3 of "The Strange Adventures of H. P. Lovecraft"